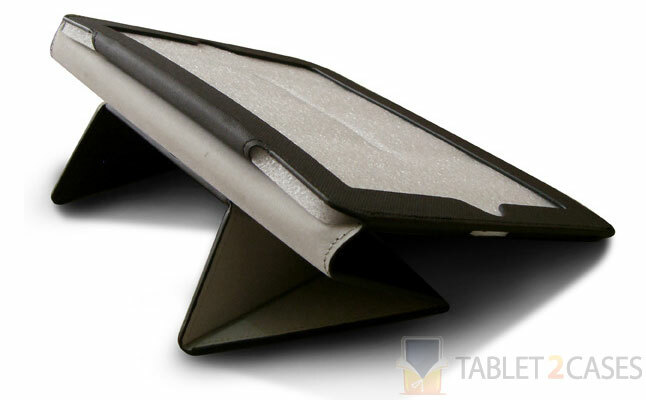 Origami Slate from Slate&Stylus is a unique folio tablet case designed for the Apple iPad 2 and the new iPad. The case was searching for funds via Kickstarter and has already reached its funding goal. The new case is crafted out of Polyurethane Canvas material and offers durable protection from everyday abuse. 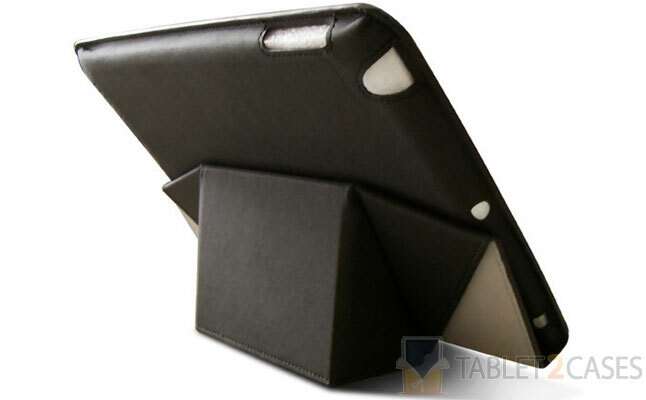 The best feature of the new iPad case is its foldable cover. It folds in a variety of ways, just like a Japanese origami figure. The multitude of folding options in turn creates endless number of ways to use the case. Not to mention the versatile tablet stand capabilities in both landscape and portrait orientations. 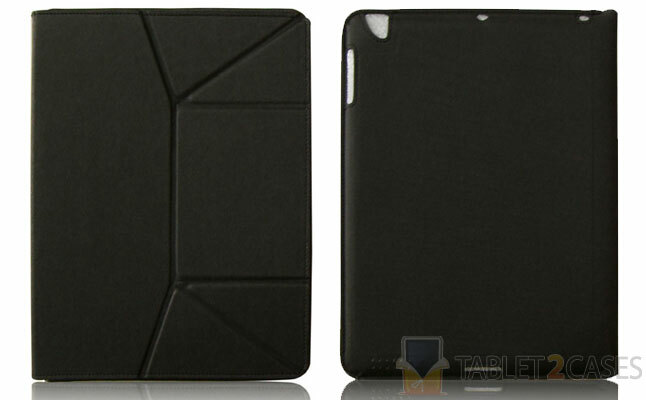 The new Apple iPad 2 case comes with built-in magnets , which will interact with the tablet and turn it off and on. 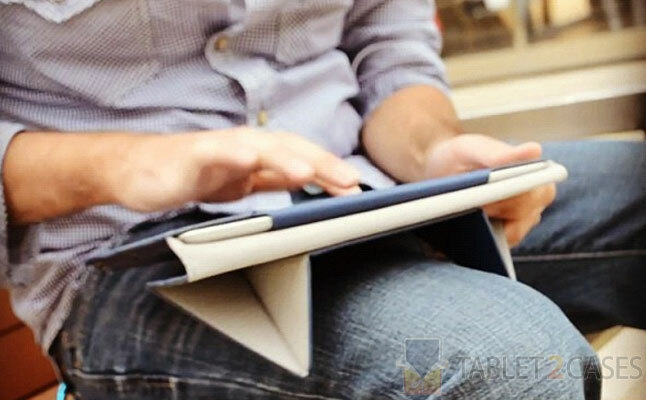 The tablet sits inside a specially designed pouch without a possibility of an accidental slip out. All ports and buttons of the device are open to free access. The case is available in red, blue and black colors with more options to follow. The price for this item will be $39.